. 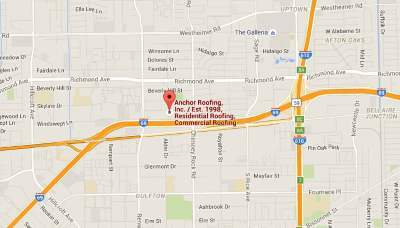 Roof Repair Companies in Houston | Roof Repair Houston | Anchor Roofing Inc. If you are in the process of narrowing down your list of contractors for roof repair Houston, you may need some advice to make sure that you receive the services you pay for. Roofing repair can end up becoming a large investment so you must examine a few roof repair tips so that can handle your roof problems Houston before they become too severe. 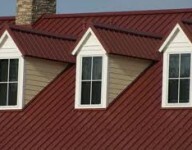 There are many unethical roofing companies out there so you must be sure that you are dealing with a reputable company that provides quality services. I’m sure that you have read reviews or heard stories from homeowners that have wasted thousands of dollars on contractors that do not produce the services they advertised. This leaves individuals in unfortunate situations where they no longer have the money to repair the roofing. To ensure that this never happens to you in the future, make sure that you do a little research on the roof repair Houston company that you are interested in. The first thing that you should do once you have an idea of which roof repair company you will sign with is to check their standings with the Better Business Bureau Houston department. You should only rely on companies that have excellent consumer ratings as well as the proper licensing. This is a large investment that should be planned carefully to make the best decision. Think about how important your roofing structure is. Your roof protects you and your family from outside elements such as dirty water and mildew damages. A company’s Better Business Bureau ratings will be enough to validate the integrity and quality of your preferred roof repair Houston company. Another reliable way to validate the services of roofing contractors in your area is to make sure that they aren’t providing pricing quotes over the phone. If any roofing company offers you a quote over the phone without actually examining your roof, this should ring a bell in your mind to double check their credentials. There is no way possible for a roofing company to truly access the damage of your roofing over the phone without actually examining the structure. Keep an eye out for companies that ask for a large cash deposit before they begin working on your home. A reliable roof repair company will always provide you with an extensive invoice so that you know exactly what you are paying for. Get great roof repairs in Houston when you shop around.